What Does John 15:3 Mean? Jesus Christ had just made an important announcement to His disciples: I am the Vine, He declared, and My Father is the Vinedresser. In the Old Testament, it was Israel, who was called the vine. Israel was to trust the Lord in loving obedience and humility of heart. They were to be a people who cultivated righteousness and justice. But they proved unfaithful to their covenant promise. They disobeyed God and produced fruit that was rotten to the core - and so Jesus came as the true and living Vine. He came to produce the fruit of righteousness that God required.. and after His brief sojourn on earth, God chose to use the Church, which would be born at Pentecost, to be His mouthpiece to a lost and dying world. Originally, Israel had been called to be God's witnesses on earth, but due to their unbelief and apostasy, Israel was set aside for a season, and the body of Christ, which is the Church.. was called to produce the fruit of righteousness. The church was called to be salt and light in a corrupt and darkened world. They were to become His witnesses, to those that were lost and dead in sin. Jesus then detailed the expectations He had from His followers, whom He describes as branches on the Vine. As branches, we are united together with Christ. We are one with Him, and are privileged to share His life in us - and we are further privileged to be fully identified with Him, in His humanity. 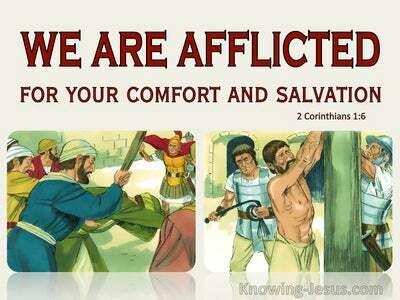 By grace through faith we are covered by His righteousness and forgiven of all our sin. Forgiveness of sin and life everlasting is ours, because of our faith in His sacrifice on the cross. But once we are saved, we also have a responsibility to obey His commands - to abide in Him; to walk in spirit and truth; to die to self and to live our lives as a offering to the Lord - a living sacrifice, which is holy and acceptable unto God. 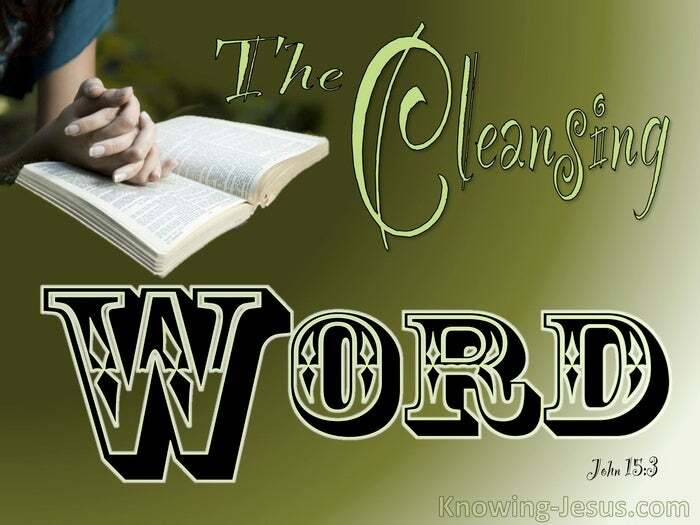 Jesus Christ is the Word of God made flesh, and all who believe in Him are washed, sanctified and cleansed, by the washing of the water with the Word of God. When we are born again our hearts are sprinkled clean from an evil conscience and our bodies are washed with the pure water of the Word. It is by grace through faith in Christ that we are cleansed. It is by believing the Word of God that we are washed. 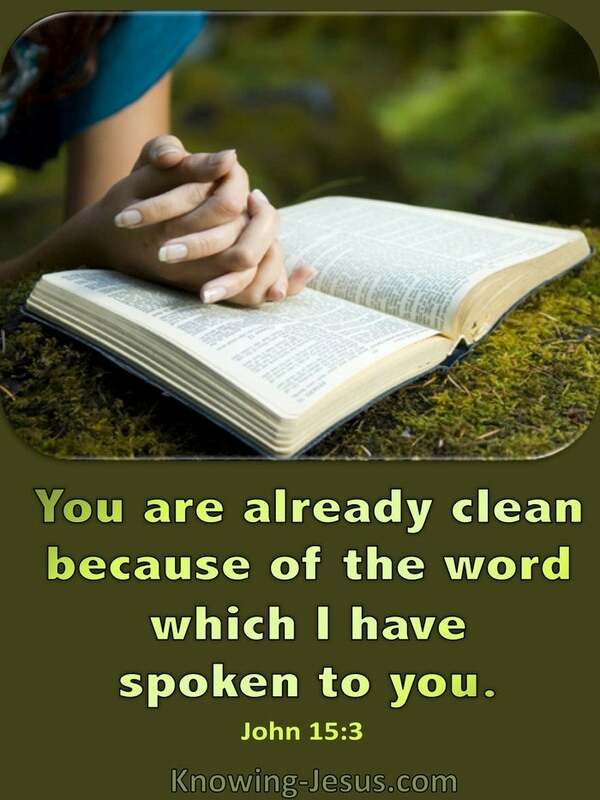 It is by trusting the Promises of God that we are made clean - and so Christ teaches His disciples: you are already clean because of the Word which I have spoken to you. Having been credited with His righteousness by faith (justification) we are also to live by faith (sanctification).. for we read that the righteous shall live by faith, as well as being saved through faith - and it is all by God's grace. The purification of these apostles of Christ, (with the exception of the unbelieving Judas Iscariot), was through the cleansing power of the Word of God. They were originally washed clean of their sins when they initially trusted Christ for their justification and confessed: You are the Christ, the Son of the living God, which was first declared through Peter. But from this point on, they needed daily cleansing throughout the ongoing sanctification process - just as we do. Day by day they were to grow in grace and be changed from one state of glory to the next state of glory, by the power of the indwelling Holy Spirit - and Christ explained that this is achieved as we abide in Him and He in us. 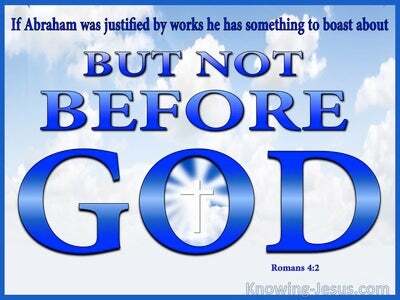 At justification, we are washed by the water of the Word of God and declared righteous.. by faith. However, throughout our earthly life we are to continue to be washed day by day, by the purifying effect of the Word of God. We are to be daily cleansed by the washing of the water of the Word of God.. so that we may mature in the faith, grow in grace and stand firm on the truth of the gospel of Christ. Jesus is indeed the true and living Vine - and His Spirit lives in us day by day, and works through us as we abide in Him, to produce fruit.. more fruit - much fruit to the glory of God the Father. Heavenly Father, thank You for Christ Jesus the true and living Vine. Thank You that You have called me to be a branch on that Vine. Thank You that by grace through faith in Him, I have heard the gospel of grace and have been saved by the cleansing power of You Word. I pray that I may live and work to Your praise and glory and be daily cleansed - as I abide in You and You in me, to Your praise and glory, AMEN.